Ductsox Fabric Duct Systems offer many products for various architectural applications. 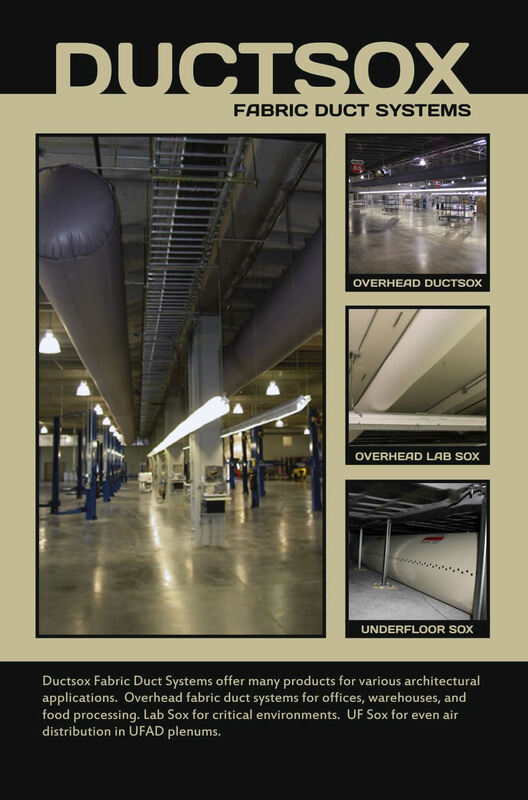 Overhead fabric duct systems for offices, warehouses, and food processing. Lab Sox for critical environments. UF Sox for even air distribution in UFAD plenums.